Weightlifting is straightforward in theory (you just, erm… lift weights, right?). But it’s a bit more complicated in practice. As a beginner to weightlifting, it’s confusing (not to mention intimidating) to figure out which muscles to target, how much to lift, and how often to work out. How are you supposed to know where to even begin with finding a good weightlifting program? 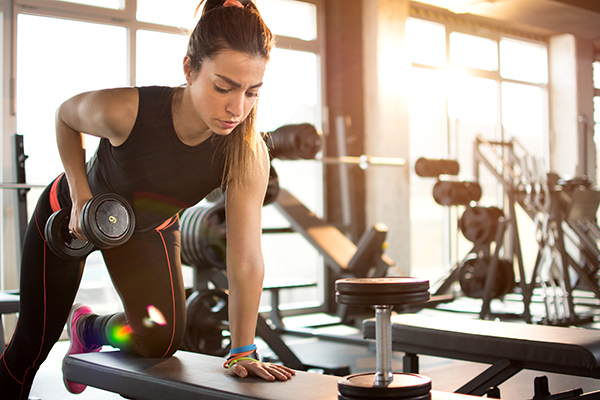 Although it might seem daunting at first, the benefits of lifting weights far outweigh any hurdles you might have getting started. William P. Kelley, C.S.C.S, ATC, says some major benefits of weightlifting include improved strength, bone density, and heart health. Studies even suggest that it can help keep your brain sharp, as well as increase energy levels and decrease stress. “Goal setting is critical to guiding your weightlifting path,” Kelley says. Before you even choose a weightlifting program, consider what you want to get out of it. 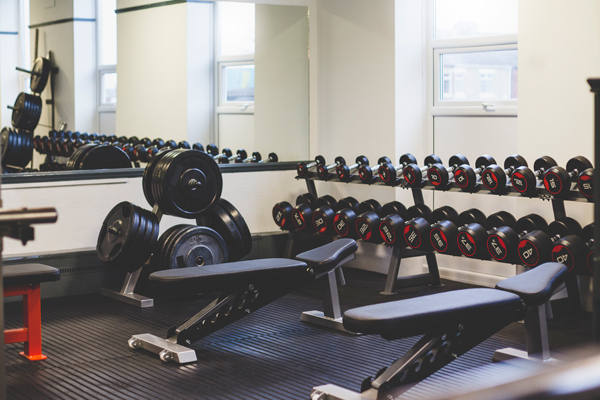 Are you training for a specific event, for general health, or with aesthetics in mind? Do you want to lose weight, build strength, pack on muscle, or achieve a combination of any or all three of those goals? Thieme says you need different weights to effectively challenge different muscle groups. Your legs should be able to handle heavier weights than your triceps, for example. That’s why he recommends investing in a pair of selectorized (aka adjustable) dumbbells (like this set of Bowflex dumbbells). “A single pair of dumbbells can replace an entire dumbbell rack, saving you hundreds of dollars — not to mention lots of floor space,” he says. Your schedule is also a determining factor, Kelley notes. “If you can only work out two to three times per week, then a total-body lifting program may be more efficient,” he says. “The ratio of exercise to recovery days that maximizes results and minimizes injury and overtraining risks depends largely on your current fitness level and the type, intensity, and duration of your workouts,” Thieme says. He recommends lifting a minimum of 2 days a week a maximum of 6 days. If you feel energized on your designated rest days, Kelley recommends active recovery activities, which facilitate blood flow to your muscles without overloading them. Yoga and light cardio (e.g., an easy jog, leisurely bike ride, or short hike) are good options. Also, don’t limit warm-up and cooldown activities to warm-ups and cooldowns. Perform dynamic stretching and foam-rolling every day, regardless of whether or not you’re working out. If you do a heavy weightlifting session one day, and then go for an easy run the next, you can actually enhance your recovery (and results) from the weightlifting session by boosting blood flow — and the vital nutrient delivery and waste removal services it provides. “But a heavy weightlifting workout followed by a long, hard run or HIIT session the next day can do more harm than good,” says Thieme. In general, Kelley recommends maintaining a specific weightlifting program for 3 to 5 weeks before you mix it up. “This gives the muscles time to adapt and grow in the current program; then, just as they acclimate, you tweak the program slightly to keep progressing,” he explains. Before a weightlifting workout, focus on carbs, which will help top off your energy stores. The key is to choose something that you can digest before you start exercising. A piece of fruit is a good choice if you have 30 minutes or less until you work out. If your workout is still an hour out, our go-to recommendation is a piece of whole-grain toast with nut butter. To get the most accurate and objective measure of progress, Kelley suggests recording your workouts and tracking the numbers. “If you can increase the weight you lift by five percent — or the number of reps you perform at the same weight by two reps — each week (or two), you know you are increasing strength in that specific move and group of muscles,” he explains. Other signs your weightlifting program is working include increased appetite and physical changes like fat loss, increases in muscle size, and greater muscle definition. You can track this data by recording it in a journal or taking “before” and “after” pictures. If you don’t see signs of progress within 4 to 6 weeks of starting your weightlifting program, you may need to reassess your workout routine to see what’s going wrong.